Alan R. Pearlman, the engineer who founded the synthesizer company ARP Instruments and designed its pioneering equipment, died on Jan. 5 in Newton, Massachusetts. He was 93. Alan Robert Pearlman was born on June 7, 1925, in Manhattan and grew up in Bridgeport and Milford, Connecticut. His father, Julius, designed projectors for movie theaters. His mother, Ada (Jacobs) Pearlman, was a homemaker. 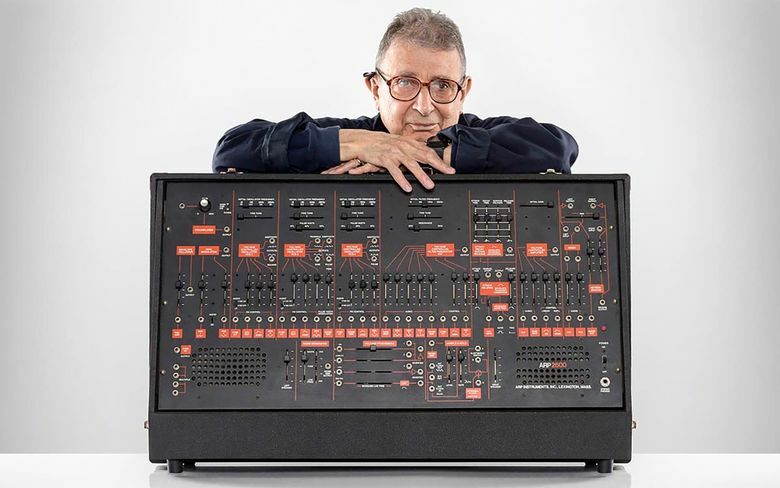 Pearlman, whose childhood nickname was Arp, liked to describe himself as being a nerd “before the term was invented,” according to “Analog Days” (2002), a history of synthesizers by Trevor Pinch and Frank Trocco. Pearlman was devoted to engineering and research, not corporate development or the pop music business; he amassed more than 20 patents. Growing up, Alan Pearlman took piano lessons and built ham radio sets. He served briefly in the Army at the end of World War II. He studied engineering at the Worcester Polytechnic Institute in Massachusetts, where his senior thesis project, in 1948, involved electronic music. It was a vacuum-tube envelope follower, which could sense the “envelope” — the attack, volume, sustain and decay shaped by a musician — of a note played on an instrument. Pearlman, who lived in Newton, married Buena Alcalay in 1958. She and his daughter survive him. Pearlman worked for NASA designing amplifiers for Gemini and Apollo spacecraft, then helped found Nexus Research Laboratory, which built precision solid-state analog modules, including operational amplifiers. Nexus was sold to Teledyne in 1967, the year Morton Subotnick’s “Silver Apples of the Moon,” an album-length electronic composition made on a Buchla synthesizer, was released. 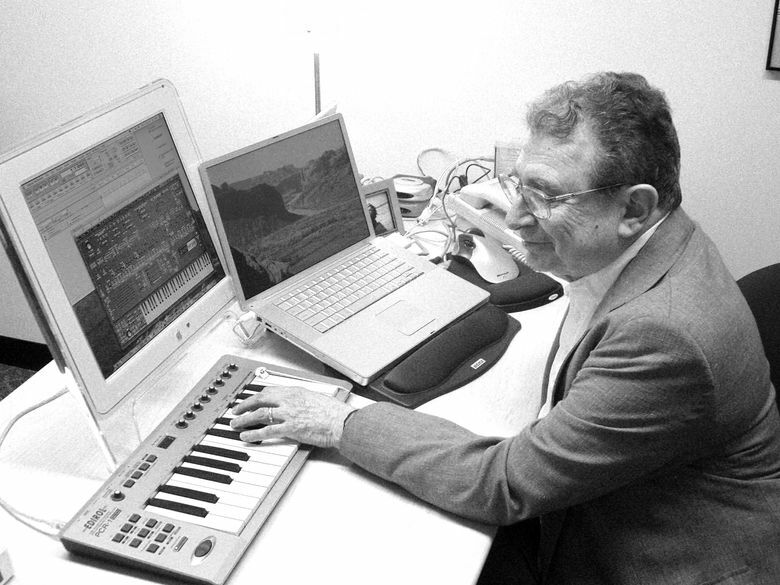 Pearlman was impressed, and in 1968, after hearing “Switched-On Bach” by Wendy (known at the time as Walter) Carlos — a hit album of Bach pieces recorded on a Moog via overdubbing and editing — he decided to work again on electronic instruments. “I went into the basement and did some playing around,” Pearlman told Inc. magazine in 1982. Pearlman founded ARP, initially named Tonus Inc., in 1969. Early synthesizers tended to go rapidly out of tune. Pearlman solved that problem by placing two functions on the same chip, and that stability became a major selling point. But against Pearlman’s wishes, ARP’s other top management turned the company’s resources away from keyboards to develop the Avatar guitar synthesizer, a commercial failure. ARP went bankrupt in 1981, costing stockholders and creditors $4 million; Pearlman and his family lost $500,000. Pearlman went on to start a computer-graphics company, Selva Systems, and later worked for Mini-Systems, a component manufacturer. In the 1980s, he worked for a time with Ray Kurzweil, whose Kurzweil Music Systems was developing new instruments. In recent years, Pearlman had grown concerned with global warming and was designing improved technology for wind power. Meanwhile, musicians clung to vintage ARP instruments. In the digital era, software programmers strove to emulate ARP’s sounds and interface. Pearlman was a consultant on the TimewARP 2600, a software version of the ARP 2600. In 2015, the Japanese instrument company Korg revived ARP’s trademarks and made an updated ARP Odyssey in both physical and software versions.